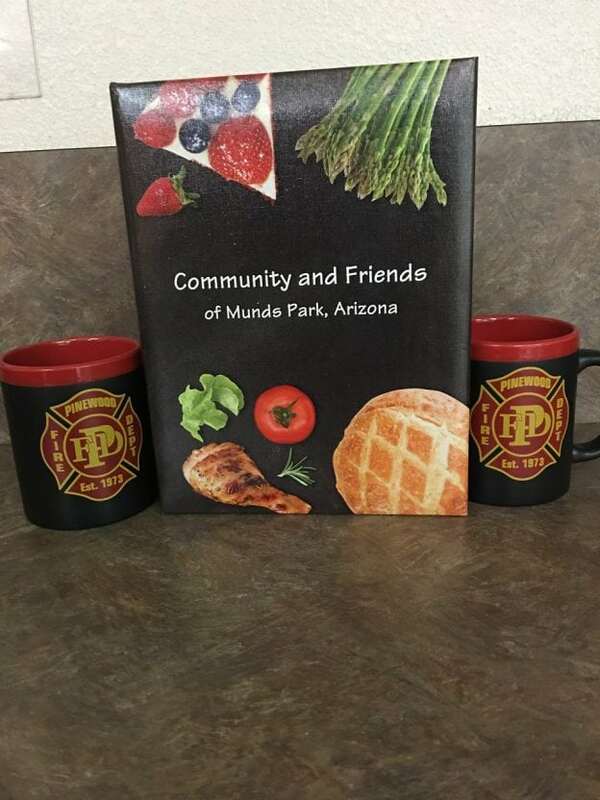 The Pinewood Fire Department Auxiliary is currently selling cook books and coffee mugs. Cook books are $15 and coffee mugs are $7.50 each. The money that is raised goes to help support the Pinewood Fire Department. Come down to the fire station or call Barb Timberman at 928-286-2329 if you would like to purchase any!